A book by LCLUCer Karen Seto was published, LCLUC is acknowledged. Cities are a tug-of-war between nature and humanity — their configuration shaped by topography even as they mould the environment in and around them. 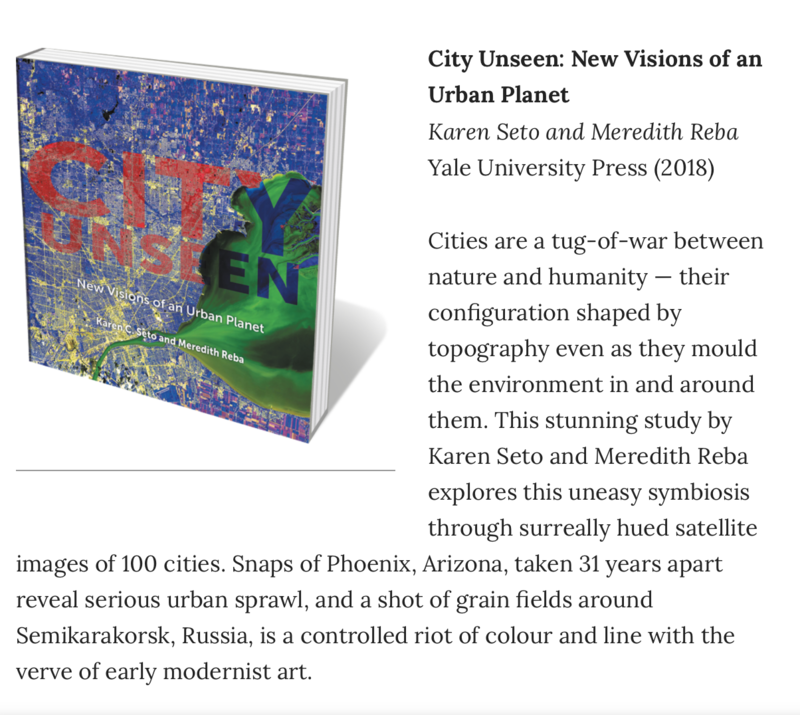 This stunning study by Karen Seto and Meredith Reba explores this uneasy symbiosis through surreally hued satellite images of 100 cities. Snaps of Phoenix, Arizona, taken 31 years apart reveal serious urban sprawl, and a shot of grain fields around Semikarakorsk, Russia, is a controlled riot of colour and line with the verve of early modernist art.